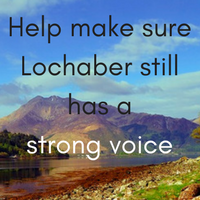 My latest e-newsletter has hit inboxes across Lochaber. In this edition, you can read about my campaign to persuade Stagecoach to ditch their damaging proposals to axe the Sunday bus service south of Fort William. And council officers have listened to my plea for a repair and maintenance programme for the timber-clad “Swedish houses” owned by the council throughout the area. You can read all the news here.